The Really Helpful Club is delighted to once again sponsor the Christmas Tree Festival in aid of London's Air Ambulance. 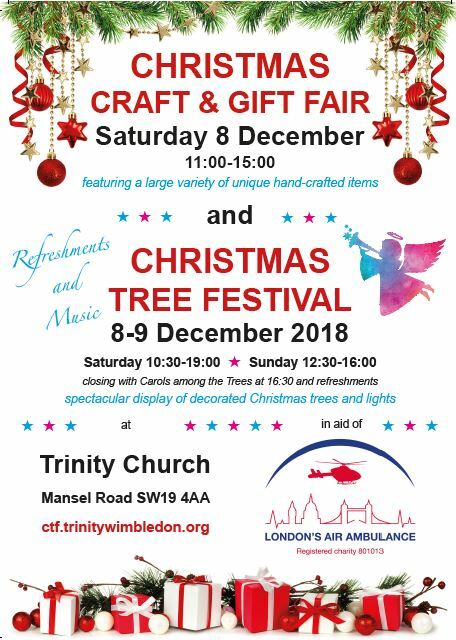 Please do visit Trinity Church on Mansel Road, Wimbledon, SW19 4AA next Saturday and Sunday the 8th and 9th December to enjoy the arts and gift fair and the beautifully decorated Christmas trees that will be on display while supporting such a deserving charity. More details in the attached poster.